Valentine’s Day Beaded Cross Stitch Kits give you a great way to create unique and keepsake quality gifts and decorations for your Valentine. You can create beautiful gifts that will be cherished. Consider these for Valentine’s Day, Weddings, Anniversaries, or anytime you want to convey LOVE in your gift giving. Crafting is a great way to show you care to take the time to personally make a great craft gift. Cross Stitch and Beaded Cross Stitch create such amazing results you are sure to create a huge impact with the gift you create using the art. You can use any cross stitch pattern or design and adapt it to a BEADED cross stitch work of art by adding your own beads and beading thread to these kits. 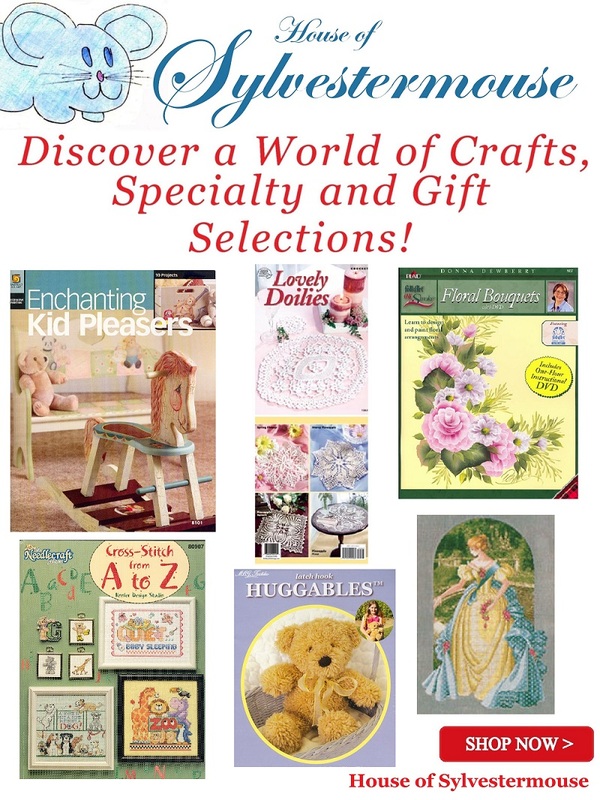 Let me show you some examples of how to embellish your own cross stitch kit for Valentine’s Day. Saying “I Love You” is the main reason for the holiday of Valentine’s Day. This design will give you a way to say it day after day all year long. Long remembered by this amazing project you can make and give to your loved one. Select your favorite cross stitch kit that shares the message you wish to give and embellish that kit with beads, even if the beads are not included in the kit. Simply purchase the beads separately and add them yourself. Here is an example of what I mean. 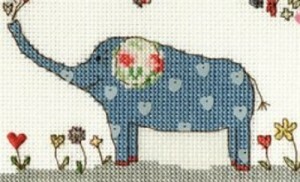 I really love this adorable elephant cross stitch kit. It doesn’t come with beads, but I think the beads would add a really unique accent for a one of a kind gift. This would be an easy kit to embellish with beads! Since the picture is stitched on 14 ct. Aida fabric, you would need Size 11 beads. I recommend using clear beads on the one dark stitch in each of the hearts on the elephant to make them stand out and sparkle. This is a fabulous way to put emphasis on the little hearts. Or, you may prefer accenting the flowers with beads. When you want to use a regular cross stitch design for beaded cross stitch you can easily do so by adding your own beads and beading thread to the kit. You will need a design, some thread and seed beads to make your own personalized beaded cross stitch kit. The following items will get you started. 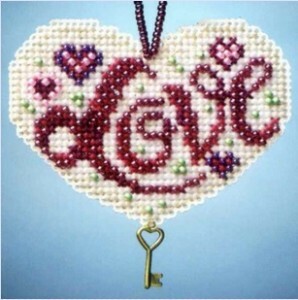 This Would Make a Lovely Valentines Beaded Cross Stitch Picture! This may be the most beloved scripture about love ever written. No matter what religious background you may have, this ‘poem’ about love is sure to have meaning for you. And is also sure to have meaning to whomever you want to give it to. This is an elegant design you can bead on the frame edge and on the capital letters. Or, you can go all the way and bead cross stitch the whole design. Both ways will result in a remarkable keepsake gift. Hearts are one of the most popular symbols for the Valentine’s Day holiday. They are also most popular for Weddings and Anniversaries. The following examples may be for Valentines Day , Weddings, and/or a loved one’s Anniversary. Give a gift that will be cherished and reminder of how important they are to you. The time you spend on a beaded cross stitch project will greatly impact the recipient’s response. Even the smallest trinket (a book mark, small necklace pendant, ornament, or gift tag) will be a great keepsake because you have taken the time to create it yourself of have had someone make it handmade for them. The kits below all come with the beads included in the kits, but remember, you could also use any pattern your select for a Valentine’s Day Cross Stitch Pattern Book. These Valentine Cross Stitch kits are beautiful! I think I especially like the “Love is Patient” heart and the Elephant ! Very lovely. I haven’t done counted cross stitch in years and now I’m getting the itch! I’ve never done cross stitch with beads, but I wouldn’t mind trying it. 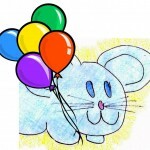 I’m with Jasmine – I like the “Love is Patient” and the elephant. The beaded heart ornaments are gorgeous, too, as well as the Two Hearts. Guess I like them all!